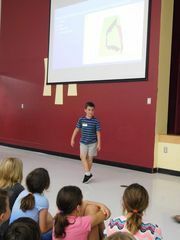 For thousands of years, humans have relied on dance and art to tell stories, celebrate momentous occasions, and connect to one another. Like our earliest ancestors, we continue to use these art forms to express abstract ideas, share information, reflect on our identity, and cope with life’s mysteries. Art and dance share an aesthetic language. Terms like shape, line, pattern, space, rhythm, and composition are equally descriptive in both disciplines. 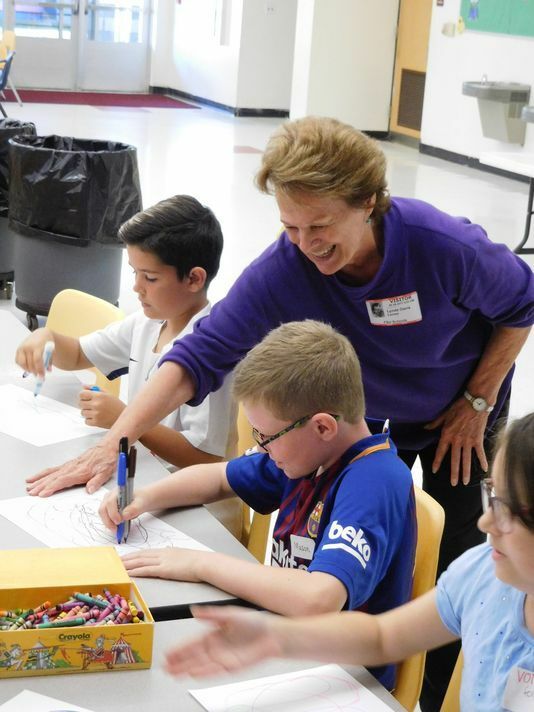 There is a synergy between these methods of creative expression and elementary school students at Florida State University School recently learned how art can serve as inspiration for movement and vice versa. Opening on October 13, the Florida State University Museum of Fine Arts (MoFA) presents its new exhibition titled “Bell & Belman.” The show will feature Trevor Bell’s multi-panel, 125-foot painting “Southern Light,” accompanied by choreographic work and performance by Rodger Belman and his associates from the FSU School of Dance. Born and educated in England, Bell arrived in Tallahassee in 1976 to teach painting as a professor at FSU. His abstract expressionist works are included in MoFA’s permanent collection, though his large-scale pieces and monumental series are rarely exhibited in their entirety. The co-subject of this exhibition, Belman is a professor of dance at FSU and a post-modern choreographer. He often references the work of visual artist and encourages his students to do the same. 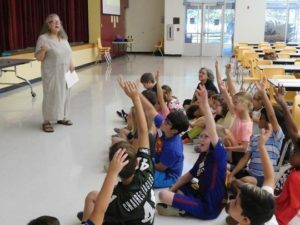 Believing that the exhibition offered “a fertile, rich ground for kids to see the connections between one art discipline and another,” Viki Thompson Wylder and her student interns developed a unique educational outreach opportunity. 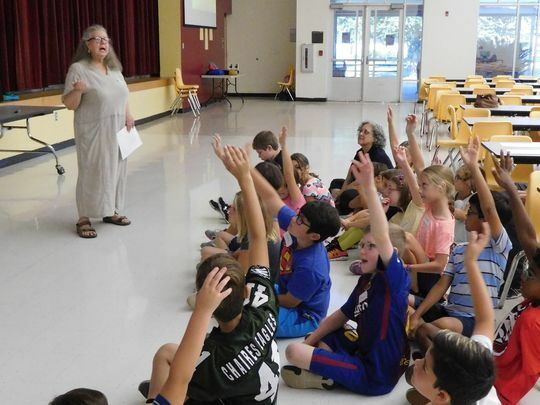 As MoFA’s curator of education emerita, Wylder teamed up with Lynda Davis, professor emerita of the FSU Department of Dance, to help elementary and middle school students throughout our community better understand both abstract art and creative movement. Students gathered in the FSUS cafeteria and listened intently to details of the lives of both Bell and Belman. They saw examples of Bell’s paintings and watched footage of Belman dancing in front of the artwork. Students were encouraged to use their hands to trace in space the lines and shapes incorporated in the paintings, they then stood and used their bodies to replicate the imagery with three-dimensional movements. The final component of the activity challenged the students to create a visual representation of their movements in an open-ended art-making session. The opening public reception for the “Bell and Belman” exhibition will be held on October 13th from 6-8 p.m. at the Florida State University Museum of Fine Arts and the show will be on view through Nov. 19. 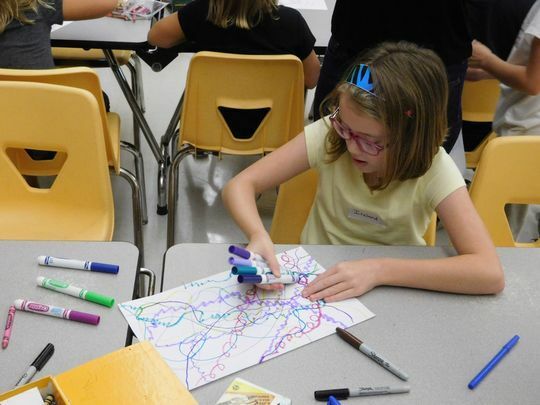 On Oct. 24 from 6-7:30 p.m., the museum will offer a special public reception with art and movement activities for children as well as photographs of the student-created artwork responses to Bell’s paintings. Attendees are encouraged to wear their Halloween costumes for a bit of extra fun. Amanda Karioth Thompson is the Assistant Director for the Council on Culture & Arts. COCA is the capital area’s umbrella agency for arts and culture.